If the Toronto Raptors try to retool the roster this summer following another defeat to LeBron James and the Cleveland Cavaliers in the Eastern Conference playoffs, DeMar DeRozan may not be among the players sold off. "I don't think DeRozan is the guy the Raptors will try to trade," a "high-placed NBA source" told Mike Fisher of 247Sports.com. If the Raptors are interested in shaking up the roster while remaining contenders, swapping DeRozan for Batum and assets or for Wiggins could make sense. If the team is more interested in a full rebuild, the Mavericks' deal would be logical, as Dallas has the third-best lottery odds and is guaranteed a top-six pick (though Fisher reported the Mavericks wouldn't be interested in such a deal). Under any circumstance, adding Leonard would work given his status as one of the best two-way players in the NBA when he's healthy. It's likely that a good portion of the NBA will be calling San Antonio this summer if there's any indication Leonard is on the block. The team's firing of Dwane Casey this offseason after a 59-win season suggests other changes could be coming as well, though DeRozan isn't the only player who could be moved. 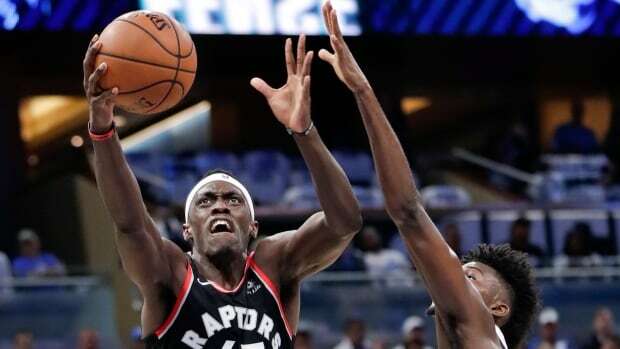 The team could choose to deal star point guard Kyle Lowry, for instance, or move other expensive veterans such as Jonas Valanciunas or Serge Ibaka. The Raptors have to decide if a new head coach will shake things up enough for them to take the next step in 2018-19 or if the team is content with being playoff-caliber but not a championship contender. It's possible the window of opportunity for the Raptors, as currently constructed, has closed. The Celtics and 76ers should only get better. If LeBron James remains in the East, he'll headline a contending team, be it in Cleveland or elsewhere. The Wizards, Bucks and Pacers should still be dangerous too.